I am writing this piece for parents doing the necessary work to raise conscious anti-racist White kids. Before you begin reading this piece, I want you to know that my words might stir up feelings of discomfort and even shame. I want you to also know, however, that I have prayed over these words in order for you to sit with your discomfort and have the courage to move forward. There is deep internal work that must be done in order for you to awaken your sleeping consciousness to the realities of raising White kids in our society. It is necessary that you do not remain stuck within your feelings because that will not do you, your children or our world any good. I am sharing this not as a way to coddle you but rather because this is both difficult and necessary work that you must undertake. Before you react within your mind or even out loud, I need you to also believe my experience as a Brown woman and mother. These words have been on my mind and heart for some time now. I knew I must release them as a result of my own internal work and the legacy that I will leave to my descendants. While scrutinizing every single word I write, I share these words because it is exceedingly important for me not only to address the problems within my own experience as a Brown mother raising White children but also to prioritize my own humanity and dignity as a woman of color. It might come as no surprise that this topic is deeply personal to me, and I know that I risk a lot leaping forward into this realm of discussion openly; however, I feel that I risk even more by staying silent. I shared the reasons that I decided to start blogging again in my intro post here. It was clear to me that I must also share my truth in raising biological White children. If you want to begin living consciously, then you have to look in the mirror to begin this work. I want to be clear that when I write "White children", I am speaking only to the socially racialized aspect of their identities; this does not necessarily speak to their cultural and ethnic Puerto Rican heritage that they share because of me. It is very important for me to be clear on this, because my children are not racialized as children of color, they are racialized as White. The color of their skin and hair is not associated with oppression like mine. Rather, they embody privileges that are associated with whiteness in almost every space they are in. 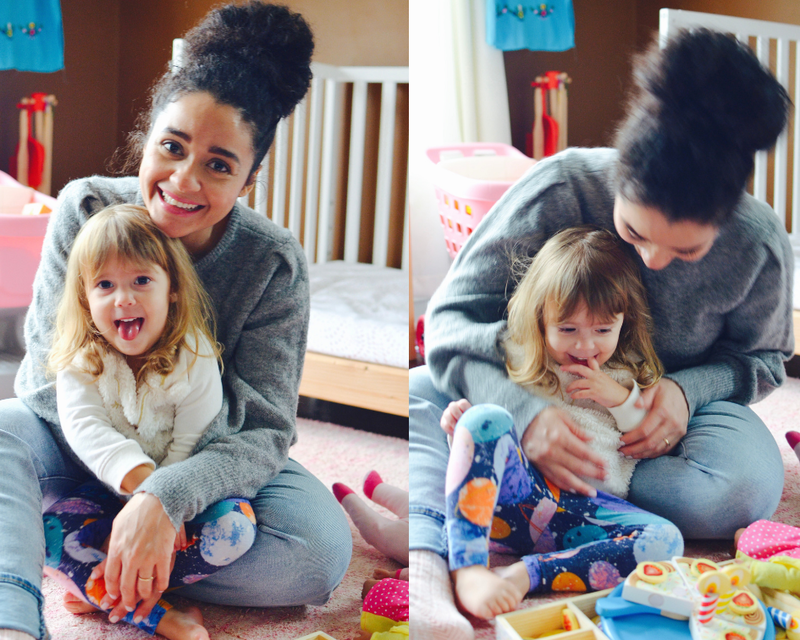 As a mother with biological White-presenting children, I am living proof that race is a social construct. I have never been able to fully grasp how whole groups of humans, including my ancestors, were killed and exploited for generations based solely on the color of their skin. Race does not exist biologically, it is a structural category that humans created for power. This is the reason that "reverse-racism" cannot exist. If racism is built on power, then ask yourself who wields the most systematic and individual power in our society. Although it is true that race is a social construct, it does not diminish or remove either the generational violence or the systematic nature and insidious ways in which this ideology has influenced generations of humans to believe that whiteness is a biological marker of superiority. It is not. The problem is not that my children were born White or that I was born Brown. The problem is that we live in a world where whole systems were created in which whiteness is protected and conditioned to shift the status quo. I was not "unlucky" to be born Brown; my children weren't "lucky" to be born White. It is important for me to spell this out because Black, Indigenous and People of Color (BIPOC) continue to die as a result of individual internal biases and larger systems--mass incarcerations, environmental racial disparities, maternal morbidity and housing--directly related to these beliefs. A few months ago, I had a discussion with a White mother on Instagram. This discussion really stuck with me, and I have been unable to forget the words she violently threw at me that day. Without going into too much detail, her basic argument was that when we talk about racism and White supremacy, White women must be allowed to lead other White women, even if women of color are not included in the discussion. Further, she argued that BIPOC could not relate to the racialized experience of whiteness. In her argument, she used the example of a BIPOC's inability to relate based on the color of their skin to White family. So much of what she wrote was problematic at best; it was also inherently racist, and I will unpack it here. Firstly, her argument assumed that there is no possible way that a BIPOC can have biological White children. In her imagination, it wasn't a possibility. She immediately placed me into a biological category of difference and inability to relate with her experience of whiteness, because my skin is Brown. Secondly, even if she knew that I had biological White children, she failed to understand that in order to fully unpack racism, you must include the voices and experiences of the most marginalized BIPOC. It is only their experiences that can unblock all pathways that lead to racism. Whiteness is one lens. In order to see all of the microscopic details of racism, we must apply the most marginalized lens to view even the most seemingly microscopic aggressions to our eyes. This is not an uncommon encounter that BIPOC have with White folks, and it speaks to the idea that we are not biologically the same, which again is based in racism. It also perpetuates separation in cross-race connections. White folks must do the internal work that leads to external change beyond themselves. This work includes listening to the voices and experiences of BIPOC. Namely, it cannot encompass only White folks talking about racism that does not impact them directly. 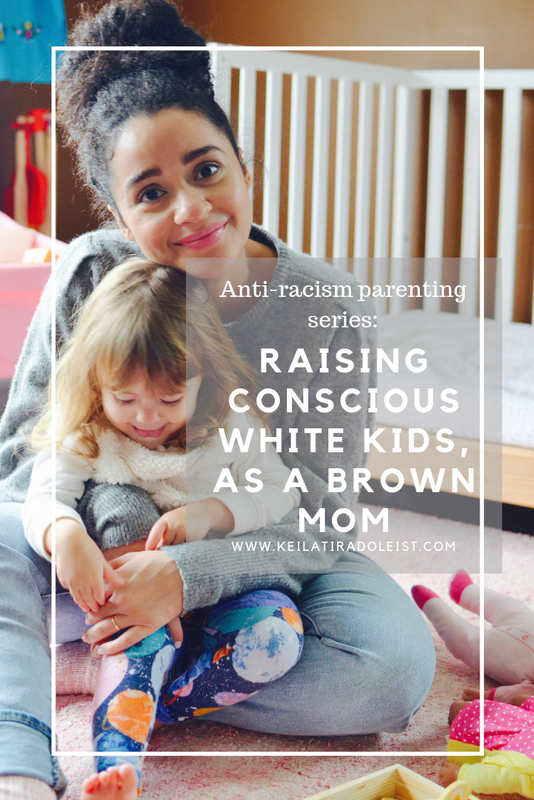 As a mother of White kids, I have already begun to facilitate this process, and I am writing this series because it is crucial that anyone raising White kids do the same. Our White children will grow up to be White adults, with their own set of ideologies and the ability to continue the cycle of White supremacy in their actions. However, if given the right tools, they can become agents of change. One of the most challenging experiences as a Brown mother raising White children happened a little over a year ago. My then 4-year-old informed a person close to our family that they didn't like them because "they were too dark." These words seemed to have come out of nowhere, as this person was a part of our inner circle for some time. I cannot begin to express how far down my stomach dropped when I read the text message while I sat in one of my graduate classes. I felt it so deeply, and I was hurt. There I was in a lecture discussing the disparities within communities of color--because of how deeply-seated racism is in our country--and my little four-year-old was already expressing biased behavior based on skin color. They were (and are) the child of a Brown scholar, the child of a mother using her social media to speak out on social justice, the mother who thought she knew so much about identity... blah, blah, blah. I selfishly made the experience about me when it was all about the person being affected as well as how my son was already processing our differences in skin color in his imagination. Although it is true that my child did not understand the concept of discrimination in the same way adults can. They were already creating categories of bias based on what they saw around them. They needed help to unpack it all. It was not enough that I was Brown, that we have Black and Brown family members, or that we are raising them bilingual. My White child was already expressing bias based on what they saw was not considered the "norm" around them. I had to do more, and this is why it's crucial--lives at stake crucial--for those of us raising White kids to do everything in our power to shift the narrative and build our children's consciousness in the home. It took me this long to realize that whatever we teach our White children at home will either (A) be enforced by our wider society and considered the status quo or (B) be rejected and considered abnormal. This leads me to the following categories and examples within my own life that have been transformative in the way I approach race with my White children. I grew up in a majority Puerto Rican community in the Midwest. Our experience as Puerto Ricans has been heavily colonized, from our food to the way we speak. Those of us on the Island and in the diaspora continuously experience and perpetuate its effects. One of the internalized aspects of colonization is our development of Anglo-standards of beauty. Growing up my hair was considered pelo malo ("bad hair") because in its natural state my hair is curly and coarse. As a result, I internalized this idea and straightened my hair for years with chemical straighteners, blow driers and even an iron at one point, much to the determinant of its health and my soul. It took me years to unpack my own internalized oppression and fully embrace my natural hair. I now wear my crown of curls proudly and it is a source of power. Because of my experience with hair, I am extremely conscious to never state to my kids that they have "good hair." There is no such thing as good or bad hair. Hair is hair. Hair can be nourished or brittle. It can be thick and curly. But hair is never bad or good. The idea of good or bad hair is rooted in the superiority of White standards of beauty that impact us all. Once we become more aware, we realize that our everyday language and euphomisms are more than words. They are binding contracts that shift entire social ideologies and lead to harm of the most marginalized. In this awakening, we are beginning to do the internal work. A while ago, I was chatting with another person of color and parent about local schools and their performance. Suddenly, the higher-performing schools were a result of "involved parents, dedicated teachers and smart kids." Then, when the subject of lower-performing schools in our area came up, the parent said, "It's because of all those Milwaukee kids that end up coming here." I felt breathless for a second; yet, instead of asking them to clarify, I said nothing. If I would have asked them to clarify, then it would be apparent that "those Milwaukee kids" were majority Black students. Anti-Blackness is world-wide, and it must be addressed in communities of color, too. Think about what images of people come up in your imagination when you speak of "good schools," "good neighborhoods," and "good areas." Then ask yourself what language has led to your ideas of how BIPOC and especially Black folks live. As parents, we are constantly centering our children's needs over our own. When my oldest was born, I would literally sit on the couch for two to three hours while they slept on my chest--mostly because I was afraid to move and wake them! Not to mention it took me close to 6 weeks to leave the house solo because I had no other choice. However, there is more nuance when we talk about race with our children, and it can no longer be about them or how they feel when talking about race. It is also not about us. That's why we must include the voices and experiences of BIPOC. Otherwise, we risk missing a lot in the process. Although we should not center their feelings, I believe our responsibility as parents is to always hold space of our children to navigate them with us. When my then 4-year-old said they didn't like someone because they were "too dark," we had to address the ideas he was beginning to develop head-on. 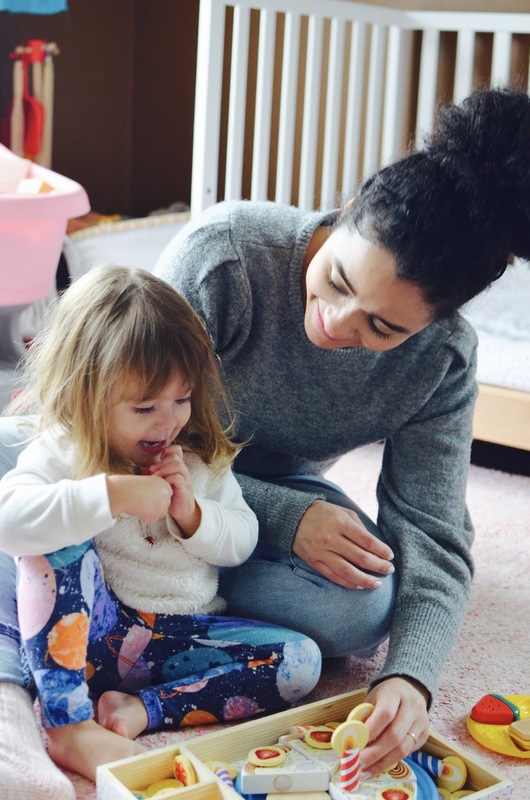 It's also important to take your child's developmental and cognitive stage into account, too, because pre-school children are still learning to make concrete connections in the real world. Black psychiatrist, Beverly Daniel Tatum, writes about how pre-school children understand language very literally in "Why are all the Black Kids Sitting Together in the Cafeteria." 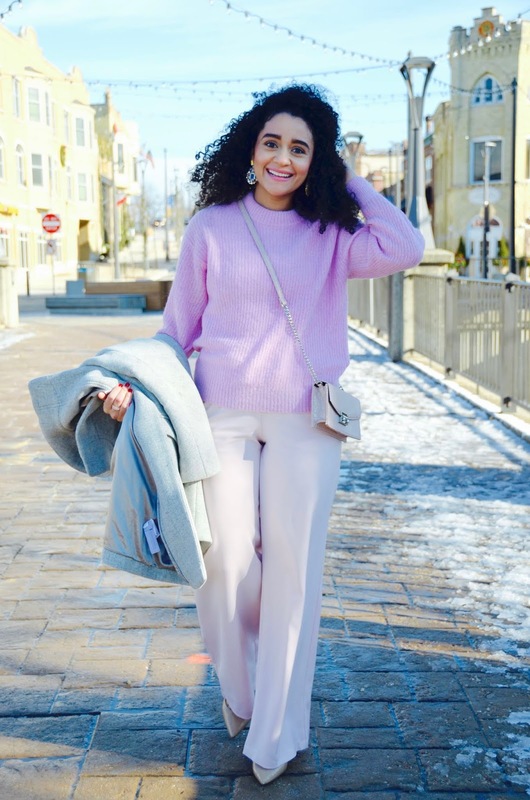 She writes that it's important to not shame or silence a child when the color of skin is brought up, whether they bring it up in a negative, curious or positive light. When it came time to talk more about the incident with our child, I asked if they remembered what they said and then repeated it. They said they did not remember, which is on par with his age at the time, but I could sense they felt shame for saying something cruel. I took Tatum's approach, after I feverishly googled her book, and talked about the melanin in our skin. I said, look at my skin, I am darker than you because I have more melanin. Then I showed him a picture of my Dad and said, look at Abuelo, he is darker than me because he has more melanin in his skin. I brought this concept up several times with all my kids and still do, because it is so important for them to understand that all skin colors are a normal part of being human, and that Blackness is within them too. I will be the first to admit that I failed to include the narratives of darker-skinned Black folks earlier in my children's lives. I regret being reactive instead of proactive. However, nothing good can come out of self-flagellation. It is a weapon that we use to keep us stuck in our ignorance. Not only should our focus as parents raising White children include books that describe BIPOC in a positive and non-problematic light, they should also be written by BIPOC. We need to be explicit about race in the home and take the time to show images, histories and stories of the true narrative that is often excluded in wider society. I learned a large part of my own Puerto Rican history after I was in graduate school. We cannot wait until our children are teens to begin including these narratives. The reason "color-blindness" is so violent against BIPOC is because it functions as a way to erase our embodied differences that continually affect us both individually and collectively. I have shared many experiences where folks have asked me whether or not I was the babysitter, while I was shopping. Other times, I have shared times that I have been mocked for speaking Spanish to my children in public. I have also experienced where White folks have gazed at me in discomfort when I hug and kiss my white daughter, as if to say, why are you-- a Brown woman--kissing and embracing her in that way? For as much as I have experienced my own set of racism and prejudice against me, that does not exclude me from doing the necessary work to raise conscious anti-bias White-presenting kids. In many ways, my own experience with discrimination and intellectual development acted as a way for me to ignore the necessary interpersonal work with those closest to me--my children. I know this is only the beginning of the work for me with my White children, and I will likely have more moments where I need to de-center their experience in order for them to see my humanity and that of other BIPOC; however, I am also very hopeful. 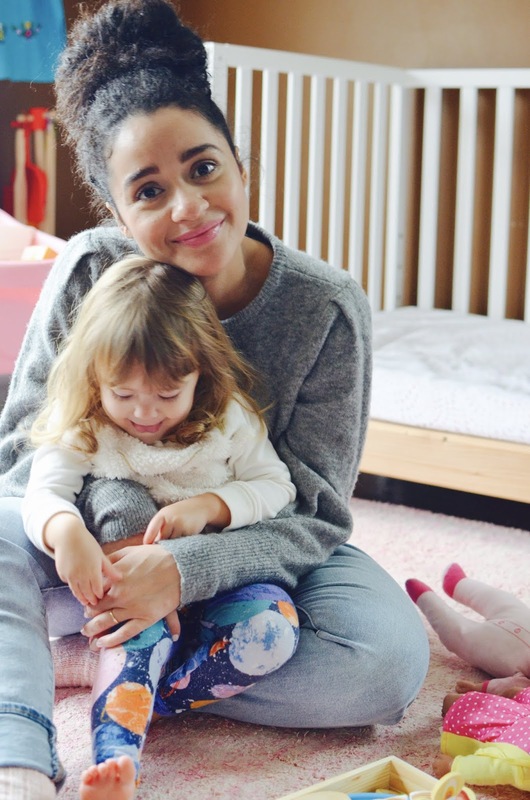 I am hopeful because it is through the process of becoming a mother that I have been able to connect to my deeper truth. I believe that there is a purpose to each and every one of our lives, and a transformational and collective conscious shift begins with each and every one of us. Wow, this is a super powerful post. It's hard for me to like the idea that you must treat your light skinned children even more consciously, but I do think that it's necessary since I have children of varying complexions as well as nieces and have noticed preferential treatment for the lighter ones. Thank you for your comment! I do want to clarify, however, that I don't think it's necessarily about treating our White kids more consciously then if I had children who looked like me, rather, it's being conscious and raising *them* to be conscious of the color of their skin and how they are treated individually and at the macro-level. Whereas, when I was growing up and even now, I was aware that I was different an constantly bothered. It's important for me to make this distinction because in our society White folks are not conditioned to be aware of the color of their skin, White supremacy and their privileges because of it. I am thinking about your comment more, and I will be expanding on my thoughts in the next post that was going to be on a similar but different topic. I have bee thinking about all of the Black and Brown children who are taught-- on top of being othered-- that they have to be extra conscious in certain spaces for their own safety. In thinking about that and my own experienc, I believe that raising them extra aware of ways in which they can do harm is not a bad thing, in fact, it's necessary and a very real and important way that they can become agents of change in our society.